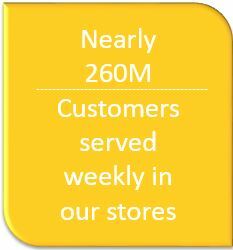 Price, access, assortment & experience drive a customer’s choice of retailer. Historically, Walmart led on price and assortment. Retail environments are more competitive today, especially with e-commerce. 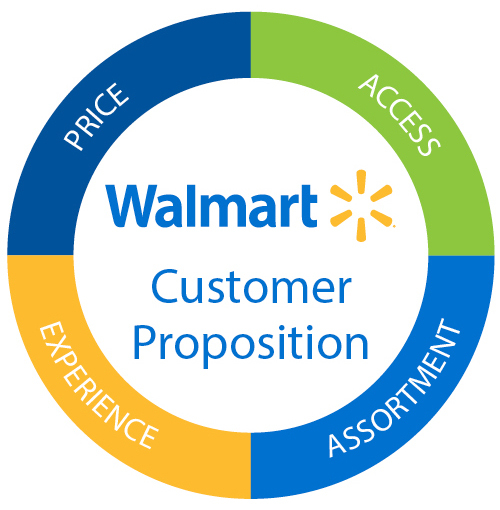 To win, Walmart will lead on price, invest to differentiate on access, be competitive on assortment & deliver a great experience. We understand not only what our customers want and need, but also where they want it and how they want to experience it. Walmart U.S. is our largest segment and operates retail stores in all 50 states in the U.S., Washington D.C. and Puerto Rico, with three primary store formats, as well as digital retail. 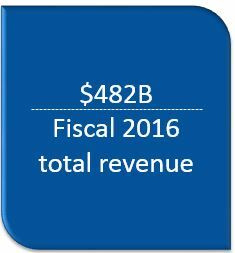 Walmart U.S. generated approximately 62% of total net sales in fiscal 2016*. 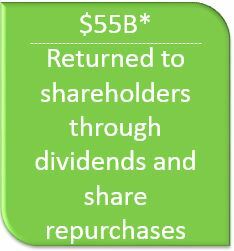 Walmart U.S. has historically contributed the greatest amount to the Company's net sales and operating income. Walmart International is our second largest segment and consists of operations in 27 countries outside of the U.S. and includes numerous formats as well as digital retail. 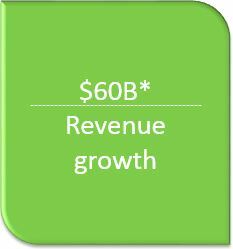 Walmart International generated approximately 26% of our fiscal 2016* net sales. Sam's Club consists of membership-only warehouse clubs and operates in 48 states in the U.S. and in Puerto Rico, as well as digital retail. 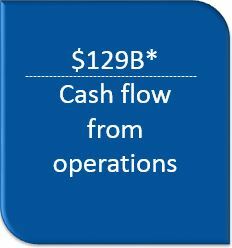 Sam's Club accounted for approximately 12% of our fiscal 2016* net sales. As a membership-only warehouse club, membership income is a significant component of the segment's operating income. *Fiscal year ended January 31, 2016. 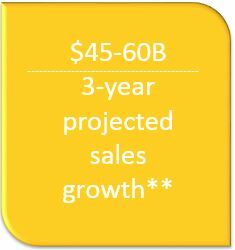 **Projected net sales growth on a constant currency basis for fiscal years 2017-2019.